If you're reading a blog like Aspiring Millionaire, you likely have some large financial goals. Monetary wealth may be necessary to fill them all. It's easy to get caught up in these goals, doing whatever we have to to make them happen, without really analyzing why it is we're working towards them. Kylie had an epiphany in the last year about what she really wanted to work towards. It's less about money and more about people. 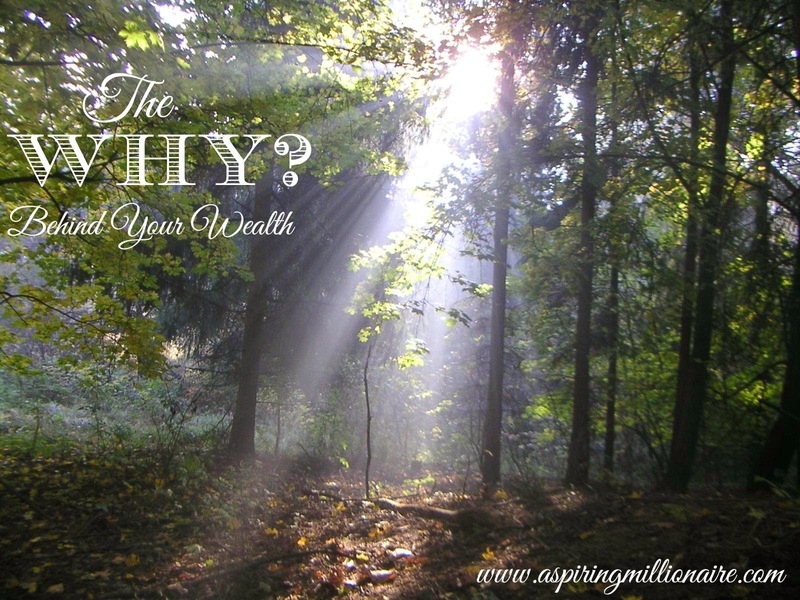 When she shared, I sat down and examined why exactly it was I wanted to be wealthy. I came to an astonishing realization. I wanted to become wealthy because from a young age, it was what was modeled to me. My parents weren't overly rich, but they purposefully lived in areas where others were. Most of that was to get us into good schools. I'm thankful for my education. But living in these areas, surrounded by adults who lived in lavish houses, went on lavish vacations, and owned things like private jets really skewed my idea of what an ideal life was. I thought I needed these things in order to be fulfilled. I thought I needed these things in order to be happy. Really, that is what I want out of life. I want to feel fulfilled. I want to be happy, and spread that happiness to all those around me, especially my family. But those things don't necessarily come from monetary wealth. In fact, sometimes the pursuit of wealth can keep us from ever feeling fulfilled or happy. We can end up working long hours. We can end up prioritizing dollar signs over people. We never reach fulfillment because there's always something more to achieve, another opportunity to create or seize. We can end up making ourselves miserable. At the same time, it's largely unrealistic to think that money has no purpose in our lives. It's a vehicle that can help us get us to where we want to be. If I want to be at a place of fulfillment and happiness, what do I want out of my money to get me there? I want security and peace of mind. I want freedom to be able to make decisions that lead to happiness, rather than being a slave to debt as even many of the "wealthy" are. I can get these things by making money, but I don't need mountains upon mountains of it to achieve these goals. If I prioritize happiness and fulfillment first, I can come at my money from a healthy perspective, rather than allowing it to become an all-consuming force. What is the "Why?" behind your financial motivations?